You are here: Home / creativity / What Are the Astonishing Impacts of Creativity in Everyday Life? 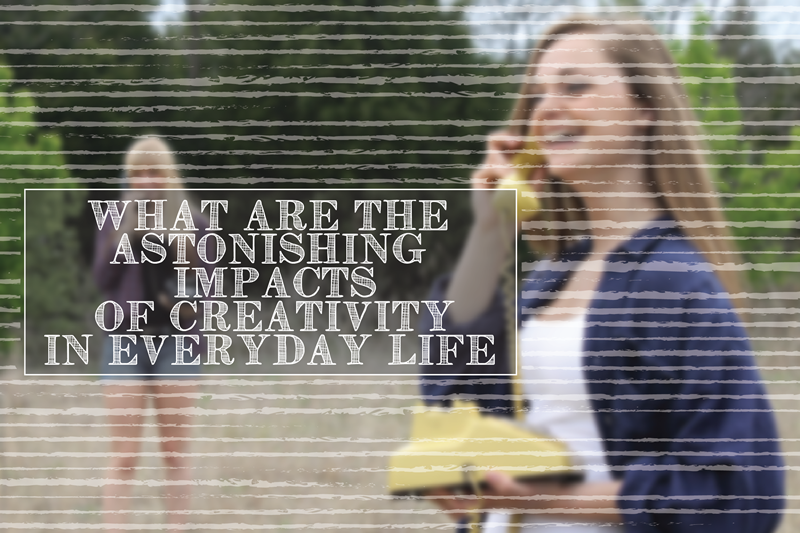 What Are the Astonishing Impacts of Creativity in Everyday Life? Talent. Innovation. Artistic achievements. You are impressed by what creative people can do and by their unique skills. In some ways, you aspire to accomplish some of what creative individuals have accomplished in their lives. And you should, because (one) you can develop creativity, and (two) creativity in everyday life can positively contribute to every facet of your life. Creativity is not limited to just the artists of the world, or to people whose jobs focus on innovation and creation. It is not confined to music, fine arts, dance, literature, or even technology. Creativity is, in fact, part of your daily life. Whether you’re in a professional career or you run your own business, creativity will have a place in your routines. But exactly what is everyday creativity? According to researchers at the Harvard Medical School, everyday creativity is the expression of originality and meaningfulness. Cognitive scientist Art Markman adds that using languages you have never used before or expressing thoughts you’ve never expressed before are all part of daily creativity so ingrained, you hardly ever notice your own capacity for it. So how will everyday creativity impact your life? Creativity can help you solve problems. It can help you solve problems in different, innovative ways, allowing you to make connections between things you never thought about before. You’ll start to find new ways to do things, and this ability can have a positive effect on your career. Creativity is a desirable quality in the modern employee. It is a capability that many businesses look for because it keeps organizations innovative, and therefore, competitive. In addition to creativity driving your career forward, it can also enhance your self-esteem. When you see the possibilities in things and discover new opportunities, it can boost your confidence. But creativity is not just beneficial for you. It can also have a positive influence on your relationships. With creativity, you can explore new ways to handle arguments or differences. Instead of groaning over another fight, your attitude shift to a more proactive one will help you feel calmer. Everyday creativity is rewarding and transformative and therapeutic. To reap its benefits, you need to first believe that you are creative—because you are. Then you can nurture this ability by searching for inspiration. You can also practice guided imagery, which triggers creativity unlike any other technique.